Your competitors are a veritable treasure trove of SEO strategy intelligence. 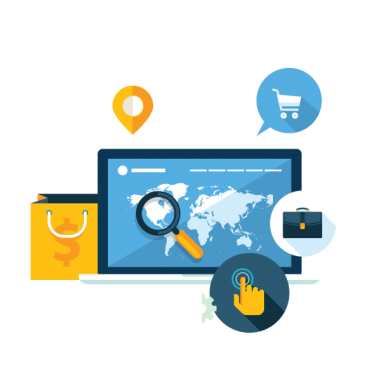 Through their websites and online marketing, you can learn where and how they are enjoying their greatest successes: strategies you can then apply to your own business website. Additionally, you can see where it is they are not doing so well and save yourself the time and money it would cost to make the same mistakes. How many unique visitors and sales leads they’re getting from their website traffic. All of these Competitor Metrics can help you understand and master the successful SEO strategies your fiercest competition is utilizing, saving you time, money and unnecessary “trial and error” SEO. Use this Competitor Metrics tool to sneak a peak at the number and quality of your competition’s backlink profiles and where it is you could be improving yours. Learn which important SEO metrics you should be routinely monitoring to really improve your website’s performance on search engines. Keep a finger on the pulse of your competition’s ranking on 370+ local and global search engines. These five informative widgets provide you with a snapshot of your business’ online performance compared with its competition. See which of your pages and which of your competitions’ pages are getting valuable social media citations. Know exactly how you stand against 20 of your fiercest competitors with a full visibility ranking report comparison. Monitor changes in website traffic ranking over the course of the past year for both your website and your competitors websites. If you’re interested in our Competitor Metrics Tool and would like to find out more about it and the other incredible tools and services Genius SEO Tools offers, check out the following links (below), or Contact Us directly. We’re happy to answer any of your questions!